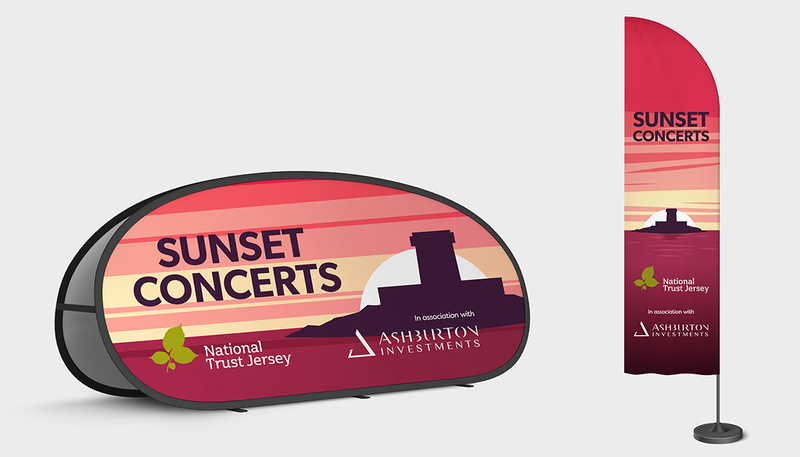 The National Trust for Jersey Sunset Concerts have increased in popularity year on year. 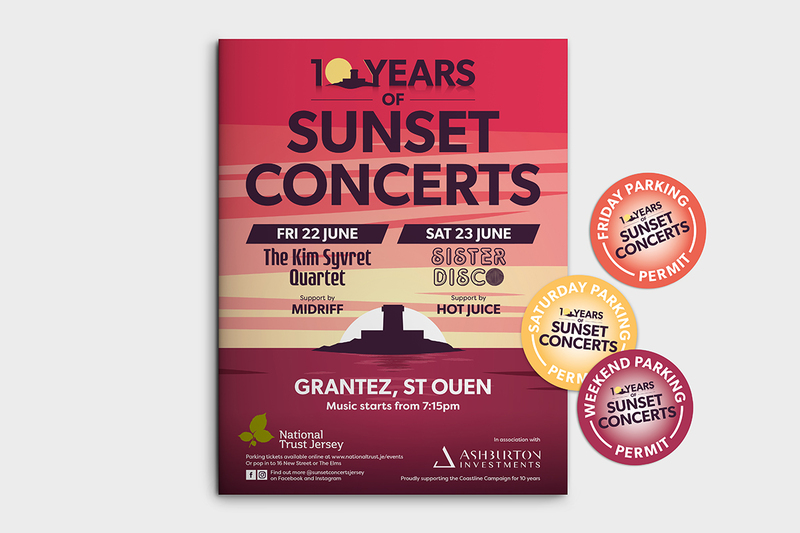 This year to celebrate their 10th year of sponsoring this popular event, Ashburton wanted to completely redesign and refresh the Sunset Concerts brand and material. 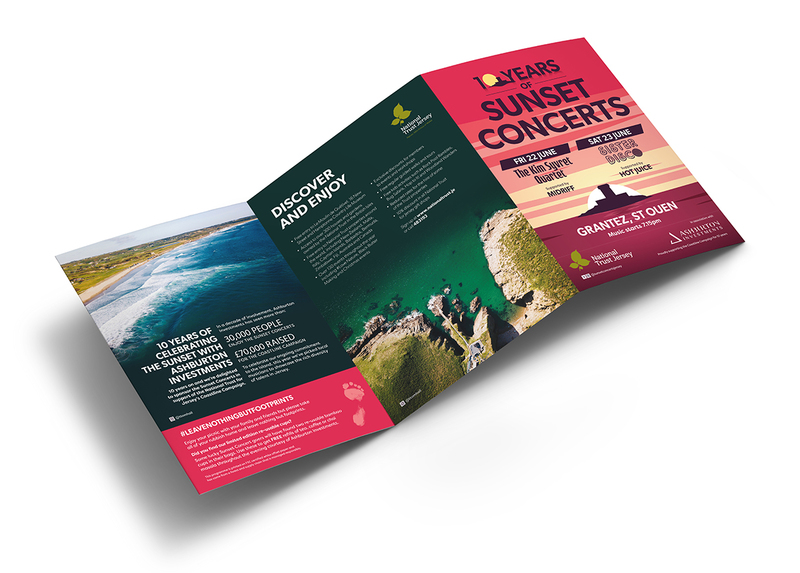 As well as redesigning the brand and visual style for the event, we produced a variety of different collateral items including, press advertising, a social media campaign, posters, flyers, event programme, a tee shirt, coffee cup, tote bags and more. 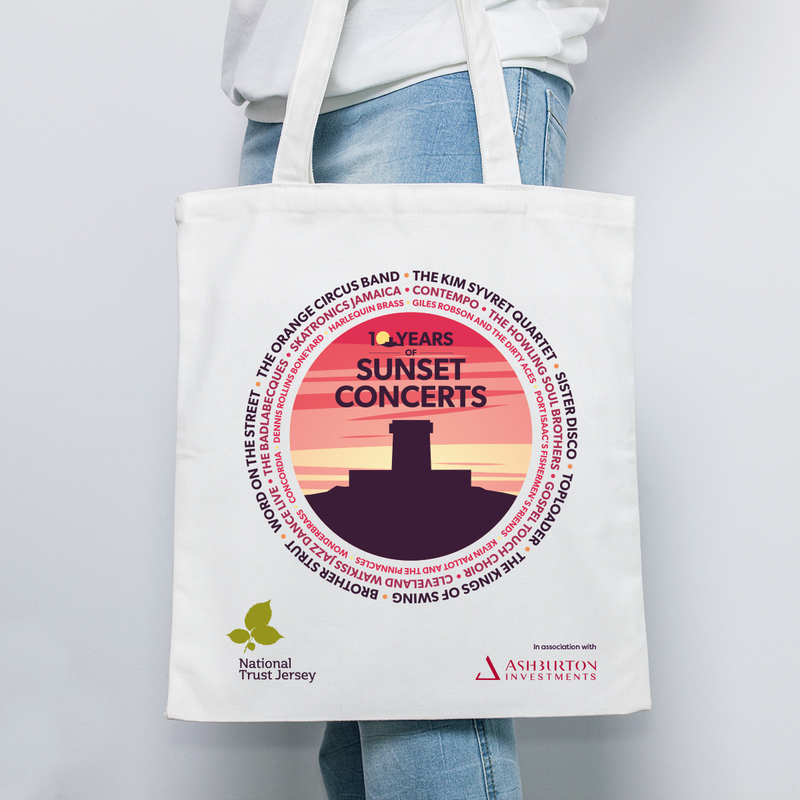 The successful (and packed out) event welcomed over 4,000 people through the gates over the course of the weekend. 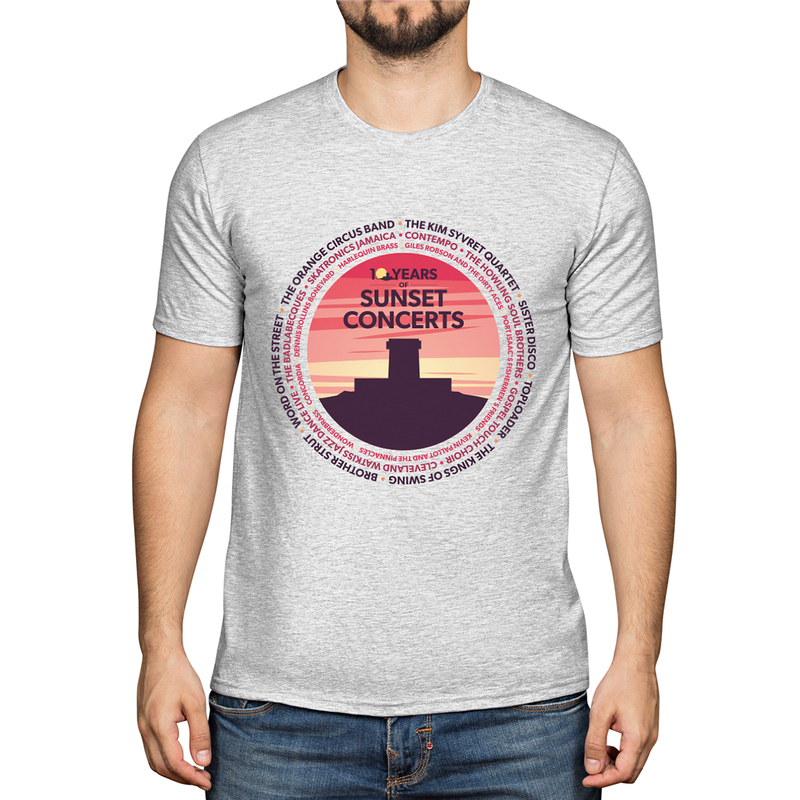 They were treated to great performances from four talented local bands.